From the first day of our commencement, we are engaged in offering a qualitative and flawless range of Water Milk Boiler Machines. 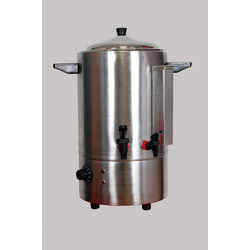 Consisting of Fresh Milk Boiler Machines, Electric Hot Milk Water Boiler, Tea Coffee Milk Dispenser, Milk Boilers Machines and Tea & Fresh Milk Boiler Dispenser, our offered range meets all the quality norms set by the industry. With the support of our vendors, we have been able to provide dimensionally accurate and long functioning range of products which are high in demand. We offer these products in various sizes, designs and specifications, to meet the distinctive demands of our clients. Our organization hold expertise in providing superior grade Fresh Milk BoilerMachines. These product are manufactured by our vendors using superior quality raw material, sourced from the famed vendors of the market and ultra- modern technologies. Furthermore, our range is available in various sizes, design and custom-build models as par the requirements of our clients. 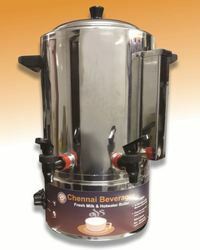 Clients can avail from us an exclusive range of Tea Coffee Milk Dispenser. This precisely-engineered range of dispensers is designed and manufactured by our vendors using optimum-grade raw-material, in accordance with the industry set quality parameters. Driven with perfection, we are engaged in supplying and distributing an attractive range of Tea & Fresh Milk Boiler Dispenser. Owing to the enormous support of our experienced vendors, we deal in entire range of dispensers which are manufactured by our vendors using superior-grade inputs, in strict compliance to the international quality standards. These products are available in various sizes, designs and custom-build models, to meet the variegated requirements of our clients. Looking for Water Milk Boiler Machines ?